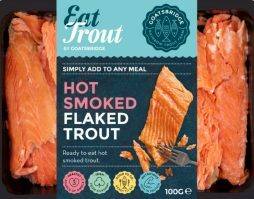 To celebrate the arrival of Goatsbridge Trout at Sainsbury’s Supermarkets in the UK, we’re running a competition. 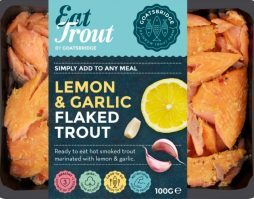 If you’re living in Ireland and email a photo of your friend in the UK holding one of our Goatsbridge trout products in Sainsbury’s to sales@goatsbridgetrout.ie, the winning photo will win two Fishwives cookbooks – one for each country. We will upload the entries to our Facebook page and ask the public to vote on a winning image. Last date for emailing images to us is Wednesday, 12th December 2018. The winner will be chosen on Wednesday, 19th December 2018. 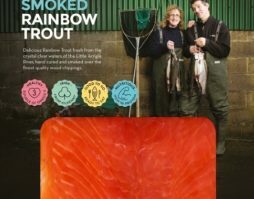 The competition is open to residents of Ireland except employees of Goatsbridge Trout Farm and their close relatives and anyone otherwise connected with the organisation or judging of the competition. Closing date for entry will be 12th December 2018. After this date the no further entries to the competition will be permitted. 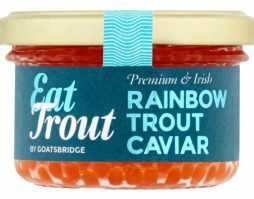 The rules of the competition and how to enter are as follows: Email a photo of your friend holding a new Goatsbridge Trout product in their hand in a Sainsbury’s Supermarket store in the UK to sales@goatsbridgetrout.ie by close of business on 12th December 2018. Goatsbridge Trout reserves the right to cancel or amend the competition and these terms and conditions without notice in the event of a catastrophe, war, civil or military disturbance, act of God or any actual or anticipated breach of any applicable law or regulation or any other event outside of Goatsbridge Trout’s control. Any changes to the competition will be notified to entrants as soon as possible by Goatsbridge Trout. Goatsbridge Trout is not responsible for inaccurate prize details supplied to any entrant by any third party connected with this competition. 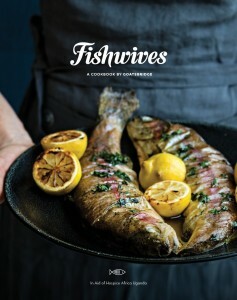 The prize is as follows: A Fishwives cookbook will be awarded to the Irish and UK friend. The prize is as stated and no cash or other alternatives will be offered.The prizes are not transferable. Prizes are subject to availability and we reserve the right to substitute any prize with another of equivalent value without giving notice. Winners will be chosen by public vote. Goatsbridge Trout will upload the images to our facebook page and ask the public to vote on the best picture. 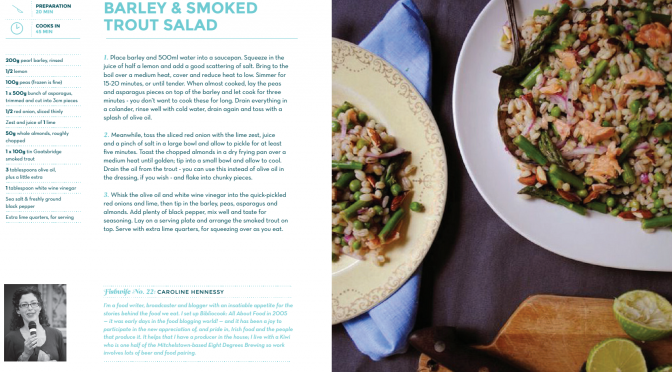 The photo that has the most likes will win a copy of Fishwives Cookbook for the Irish and UK Friend. Goatsbridge Trout will notify the winner when and where the prize can be collected / is delivered. Goatsbridge Trout’s decision in respect of all matters to do with the competition will be final and no correspondence will be entered into. This promotion is in no way sponsored, endorsed or administered by, or associated with, Facebook, Twitter or any other Social Network. You are providing your information to Goatsbridge Trout and not to any other party.